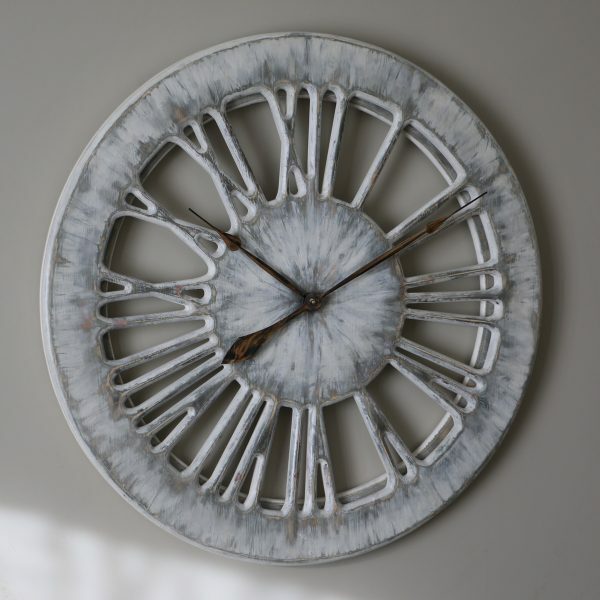 If you are looking for very unique white wall clock perhaps this design will meet your requirements. We have slightly modified the original white shabby chic to meet specific client needs. Our trademark skeleton design provides three dimensional look and would fit many different interiors. 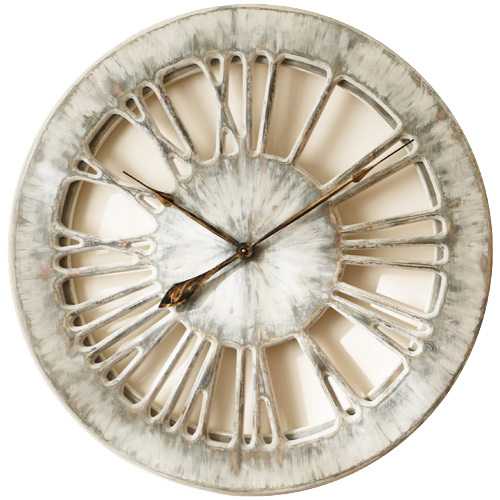 This stunning timepiece is now available in three different sizes that you can select from the drop-down list. Sometimes our customers ask us to tweak one of the existing designs to match their interiors. We always appreciate the challenge because this is what differentiates Peak Art from all other companies selling large timepieces. 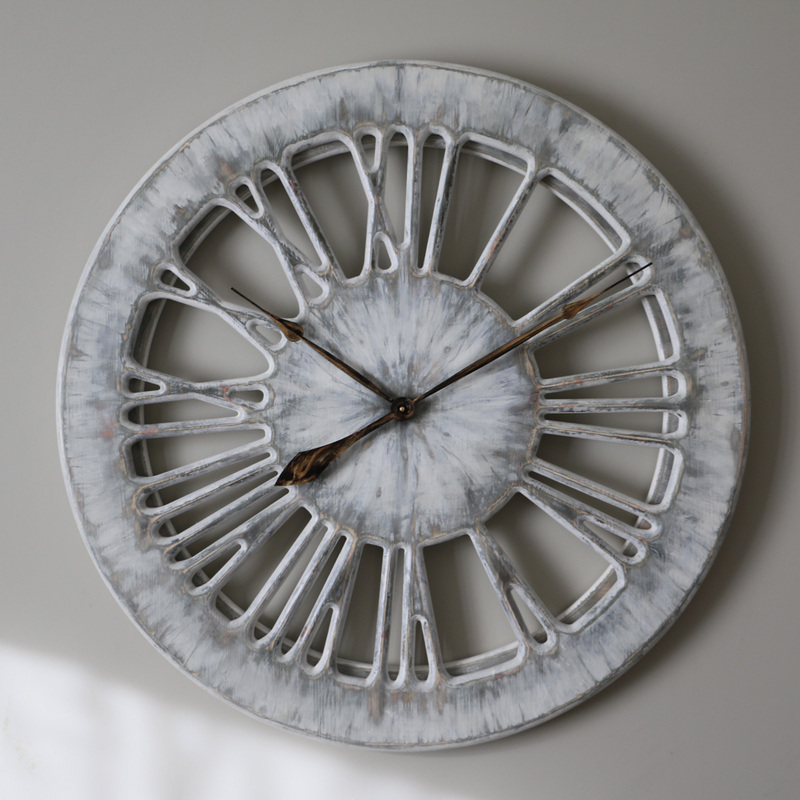 This beautiful white wall clock has shabby chic character but also sharp looking edges. It exposes less wood than many other rustic clocks from our collection. We have originally designed it at 75cm diameter because this is the most popular size. If you have a lot more availabe wall space you can also select 100 or 120 cm. 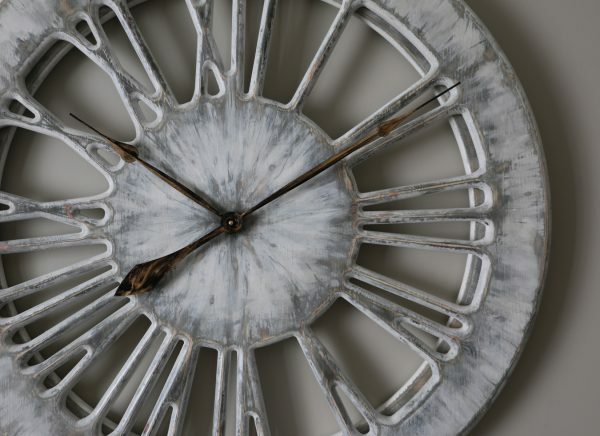 Regardless of the size, you can rest assured that this wonderful white clock will provide really strong impression on your guests. The main advantage of skeleton design is your ability to match many different interiors much easier. This particular timepiece would look best when contrasted against darker colours. We have also selected the clock hands that make it easier to read the time from the distance. 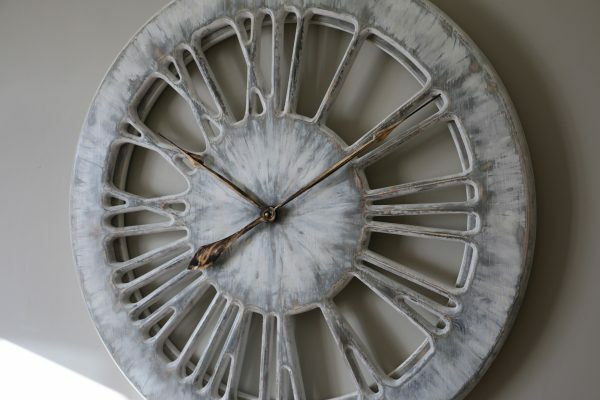 If you are looking for a feature to your living room this wonderful white clock could be a perfect match. If you aren’t sure this design would fit your interiors please get in touch and send us some photographs. We are more than happy to make some alterations and make sure it is going to work for you.